While feeling anxiety in today's stressful environment is something that is totally expected, researchers have now found that people who are addicted to taking selfies report feeling a lot higher levels of anxiety. For the survey, the researchers decided to select the city of Hyderabad as it was the one place from where they were getting most of their reports. More than 300 respondents reported feeling anxiety after taking selfies and putting them up on social media. Of these, 59 percent were men and 60 percent were women. 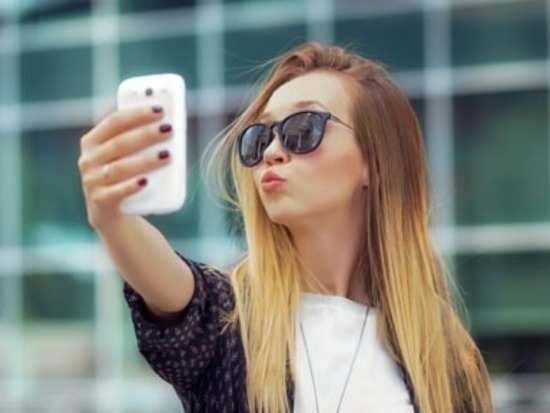 It was also found that people between the ages of 15 to 25 years were spending as much as five to six hours taking and re-taking selfies until they were satisfied with the results. Smartphone filters also play a role in this. While people who did not use filters suffered from anxiety because of the negative comments they received on social media, those who did use filters were afraid to meet their relatives and friends in person because they feared they might not look as good to them as they do in their pictures. "The study was conducted in four cities and Hyderabad was chosen as there were cases reported in the city. While evaluating the data we found that cosmetologists were being approached to change their physical appearance and make them attractive,” said a senior plastic and cosmetic surgeon. “The reason was that they wanted the selfies to look good. The inadequacy over looks is creating a strong desire to change looks through cosmetic surgery and procedures. This is a dangerous trend. Family members need to check on teenagers and others if their children are into too much of selfie-taking craze," he added. 5Can fasting play a role in boosting metabolism? 7Did you know that just like Valentine's Day there's also a Galentine's Day? 9Has #MeToo changed how we dress for work?